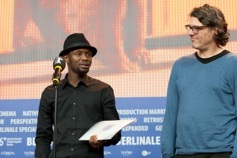 The new film by Abou Bakar Sidibé and Moritz Siebert is finished! The film tells the story of Abou’s life in Europe after he overcame the triple-fences-system of Melilla. 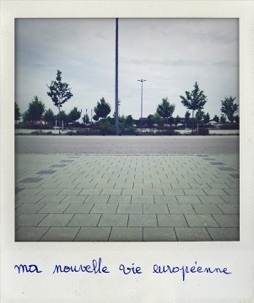 He continued to film his daily life which soon oscillates between screening, talks and lectures around „Les Sauteurs“ and the complete isolation of an asylum seeker in Germany. An essayistic reflection about Europe’s invisible borders and filmmaking as an act of self-empowerment. Les Sauteurs is out on DVD and Video on demand. 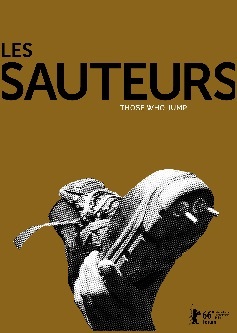 Les Sauteurs out in cinemas in France, Italy and the UK. Follow Les Sauteurs on Facebook for latest news, screenings and festivals. LES SAUTEURS will have a cinema release in autumn in German, Austrian and Swiss cinemas! 17. - 19.05. Kintopp Hollfeld , Error! Hyperlink reference not valid. Breitwandkino in Herrsching am 23.03. Kinoptikum Landshut 25.03. und 26.03.
my first feature doc is finally finished and premiers at Dok Fest Munich. If you are around, come and watch ERNTEHELFER in Munich. two new campain videos were launched this week end. This time it is about climate-change and the first time I worked with animation!!! Long Distance flies across the atlantic! The fourth Virgin Atlantic/NFTS Film Festival in the Sky has been launched. I am extremely proud to be invited with my film Long Distance to Vision du Réel ! in Foothills Art Center, Golden, Colorado, USA.